Silent night; holy night. All is calm. All is– Ooh a present! Yes, you’d better believe it, you voted for it and you’ve now got it; we’re going to check through video games once again for another Christmas staple – Wrapped Presents. See, throughout the year, wrapping paper is an oft-forgotten part of gifting, as really it’s only Christmas wrapping paper that has some intriguing design choices. We’re going to delve deep under the Christmas tree of video game past, in hopes to uncover some still wrapped gems. Maybe we’ll uncover a brand new game? Or perhaps we’ll uncover some more delicious wall turkey? Mmm, wall turkey. … Sorry; last week’s ‘A History of Festive Food in Video Games’ is still on my mind. The most recent entry on this list goes to an MMORPG that I thoroughly adore; Aura Kingdom. 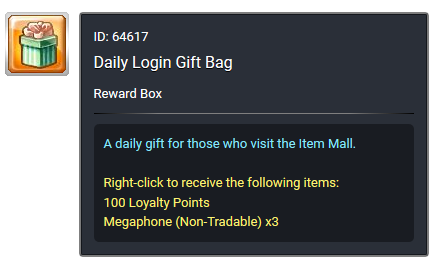 Sure, it won’t go down in history as a hugely important game, but it certainly features some wrapped presents, which you get on a daily basis from the in-game item shop. Okay, they’re barely featured; but at least you get them on a pretty regular basis. Excuse me now, I need to go and login to collect my free present of 10 Aura Kingdom points… And 3 Megaphones. Making its second entry in our ‘A History of’ mini-series, Amumu has a skin in League of Legends where his head is actually encased inside of a wrapped present. Now, this is amusing, however it’s also truly an unfortunate situation. Amumu is known as ‘The Sad Mummy’, so to see him be stuck in yet another predicament is indeed a sad affair. We salute you little Amumu, I’d invite you to my party, any day! As you go around in Team Fortress 2, you can collect crates in the game to replenish your ammo, allowing you to stay out on the field longer. Useful! However, when the Pyro takes to the fight and puts on their Pyrovision Goggles, you can bet that they see the most wonderful things! Those health boxes are cake! Their flames are rainbows and magic! Everyone loves the Pyro, who loves it when they locate and collect a gift-wrapped present, which is sure to bring even more joy to the Mann-fight! Nothing says “I love you” more than a baseball bat – and nothing says free items than finding a nicely gift-wrapped box on the corner of a street, just inviting you to go and open it. Well, I guess in the real world you wouldn’t go and open random presents, but that may just be me. 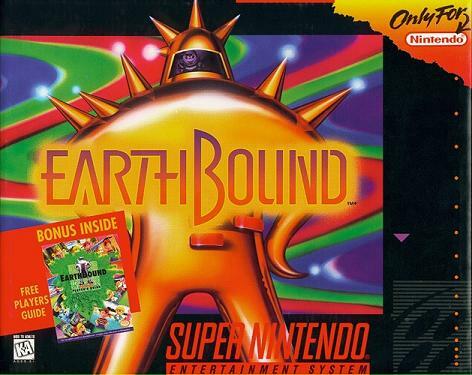 Ultimately, Earthbound invites kids to go around swinging their baseball bats at their neighbors, killing enemies with their PSI Rockin’ and, you guessed it, opening presents which isn’t labelled theirs. 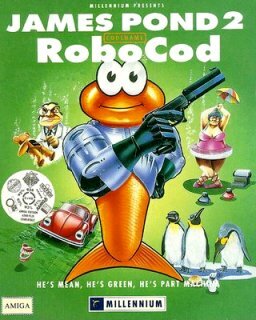 Possibly the most obscure on this list, James Pond was a series of games for the SNES, along with the Sega MegaDrive/Sega Genesis. In James Pond, you play as the titular character as you basically fight monsters in Santa’s toy factory. Throughout the game, there are many a collectable item, including, you guessed it, a wrapped gift of some sort. Play as James as you extend your body to unusual lengths – and jump on your foes to victory. I thought last week was hard with Festive Food; but this week was even harder still. By typing in ‘Presents in Video Games’, you get results for presents to get gamers (Hey, stay tuned for tomorrow’s Top 10 – Gifts for Gamers!) If you type in ‘Gifts in Video Games’, you find lots of in-game gifts you can give – But no wrapped gifts! That’s it; that was the last of our A History of Christmas in Video Games. However next week, we’ll be looking at A History of New Years in Video Games, so please get involved with the votes below to determine what element of New Years we’re going to look up in video games. As ever, thanks very much for reading – If you can think of any other notable examples of Wrapped Presents in video games, let me know in the comments below. Do you remember or at least know about the above iterations of Wrapped Presents? Share your thoughts below or over on Facebook and Twitter. Oh – and have a very merry Christmas, one and all. This entry was posted on December 22, 2017 by Timlah. It was filed under Gaming posts, Video Games and was tagged with A History Of .. in Video Games, Aura Kingdom, Christmas, Christmas-Themed, Earthbund, Games with Wrapped Presents, Gift-Wrapped Presents in Games, Gift-Wrapped Presents in Video Games, James Pond, League of Legends, Team Fortress 2, video game, video game history, Video Games, Video Games Featuring Gift-Wrapped Presents, Wrapped Presents.